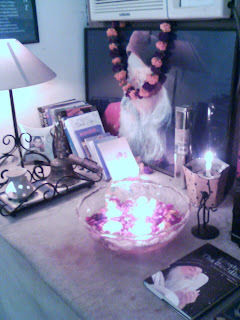 My small little Osho Temple at the corner of my room. This was celebrating Osho's bithday last year. but i'm lucky enough to have 'HIS TEMPLE' in my HEART. by doing this..u r again creating a sort of religion for yourself..just like hindus temple,church..etc etc..